This piece was pretty easy to create. 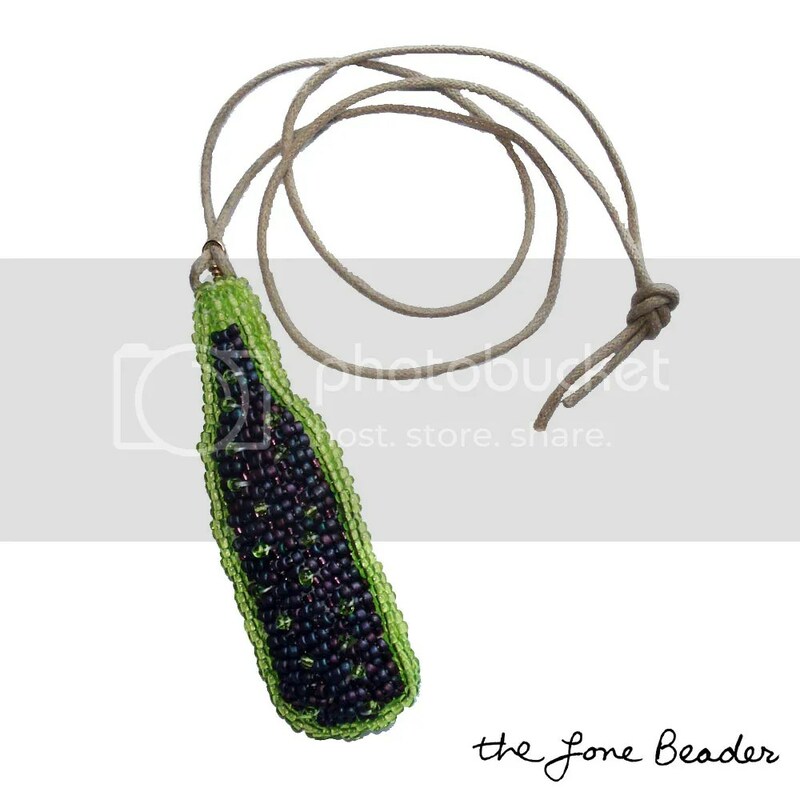 I used only 3 shades of purple and green seed beads. 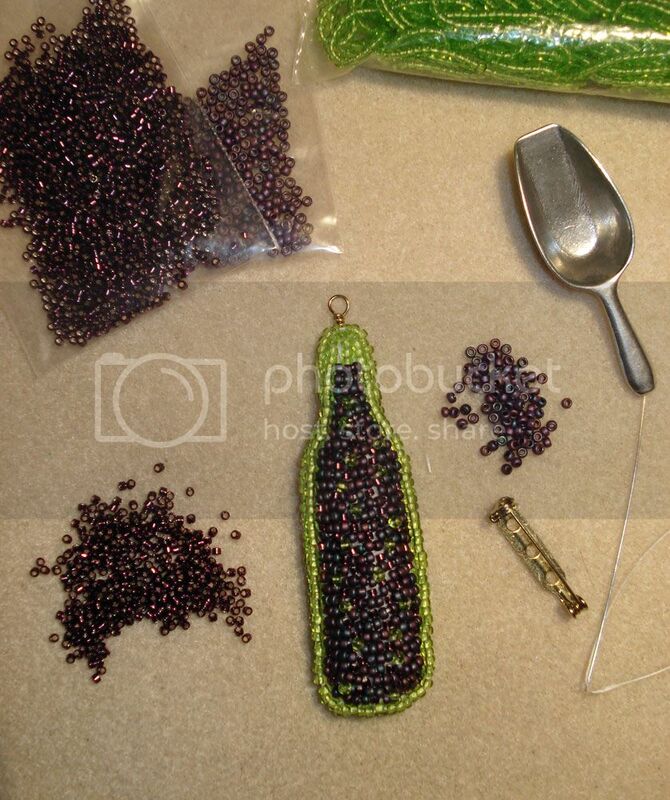 For visual interest, I stitched the purple seed beads in all different directions. Then, I layered the lime green to add a little dimension. Lastly, I stitched on a gold metal loop at the top which is both decorative and functional. I really like the results! To see more pics of the finished piece, please click the photo below. >Great little wine bottle.Maybe the need for another trip to Venice is the reason for not getting that bottle home.I went there a couple of years ago myself and felt the same way…can't wait..and actually NEED to return!I hope you get the chance to buy another bottle!! >mmmmm i had a beautiful italian red a few days ago.. well 1/4 of a glass as im not allowed alcohol until ive had my baby lol!!! this looks gorgeous, the beading for the liquid is very beautiful! great gift for wine lovers!